Characteristics: Orange – The universal symbol for caution. 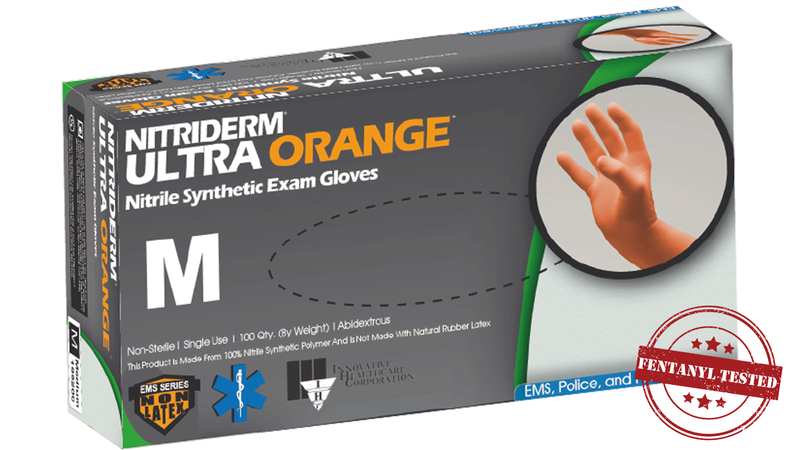 Ideal for EMS, police and fire, haz mat functions, spills, etc. This medium weight nitrile glove is extremely elastic and comfortable while providing the tensile strength required for these demanding procedures. Polymer interior for rapid donning. Textured finish for an excellent grip even in the presence of moisture. Color: CAUTION Orange. This product was fentanyl tested.